In Vietnam, the days after TET are days of pilgrimage. The Vietnamese troop to the temple to honour and make offering to the gods so the new year will be full of blessing. The Perfume Pagoda is one of the top temples visited during this time. Each pilgrim has his or her own favourite temple based on tradition and family and just a feeling of comfort. My tai chi master goes with his wife to a temple about an hour’s drive from Hanoi perched on top of a hill and that requires a walk of nearly about 5 hours. For days after that, their aches would be a reminder of their proximity to the gods and the pains bring them a type of satisfaction. 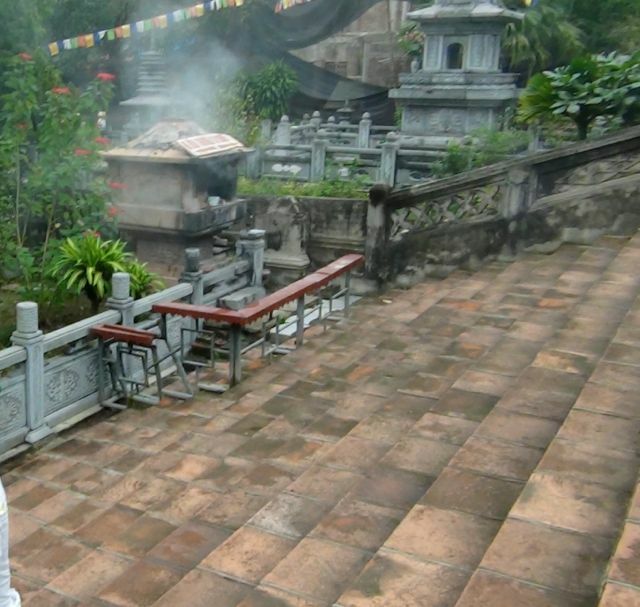 While each Vietnamese has a favourite temple, the most popular for those in Hanoi is the Perfume Pagoda. About two hours drive from the centre of Hanoi, the pagoda can be reached after a boat ride on the Perfume River through the classically Asian hills and jungle. The misty morning paddle features chirping of the birds and the bubbling of the river highlighting the early blooms of the glorious pink lotus clustered by nature in ways that transcend any artist’s sense of aesthetic. Fishers in their tiny boats and utter silence have a real calming effect. The voyage itself is part of the pilgrimage. However, immediately after Tet is the peak season and you will join a navy of pilgrims floating down. Quiet contemplation is better left for the off season. For now, we enjoy the hustle and bustle and the excitement of the pilgrimage crowd. Remember, the Perfume Pagoda is not just one temple but a complex of shrines spread out on the Hu’ong Tich mountain. On the boat trip, you can stop and visit some of the temples, villages and pagodas and while there, listen to the chanting of the monks, light some incense and have a sense of the sacrifice that the ancient monks made in building these shrines to help them focus their days on contemplation. Local crafts are also laid out to attract the tourist in your heart. For most pilgrims, the first stop is the Trinh Shrine where they “present” or register themselves. They then proceed to Tro wharf and from there travel on foot to Thien Tru Pagoda visiting Tien and Giai Oan temple where according to legend, Buddha once stopped to cleanse himself. So for the pilgrims, their stop here is to wash their face and hands in the Long Tuyen well to get rid of past karmas. Then, pilgrims visit the Tuyet Kihn cave and worship the Goddess of the Mountains at Cua Vong shrine and Phat Tich Shrine believed to have a stone which preserved Quan Am’s footprint. Many Vietnamese prefer to go up and make their pilgrimage on foot but for those who find this taxing, there is a cable car. Know that during the pilgrimage season, there is often a long wait. The view from the cable car is stunning although the walk will bring you closer to the unique features of the area. The path is full of stalls from which you can buy souvenirs and sample local snacks and for those with tough stomachs, exotic meat from the forest. The reward at the end of this long march is the Huong Tich cave with the Chua Trong or Inner Temple also referred to as the Perfume Temple. ​The cave is full of statues of various images of Buddha with symbols of worship for those on pilgrimage. But what the locals go for are the stalagmites and stalactites, each of these descriptively named .....like Heap of Coins, Rice Box, Gold Tree, Silver Tree, Basket of Silk Worms and other names of prosperity and blessing. Some pilgrims also gather drops of water from these stalactites and stalagmites believing that these give them prosperity and fertility. For the tourists, the legends that have come after centuries of worship are very interesting. One that is truly believed in is the legend that Quan Am (Bodhisattva) stayed in this Huong Tich Pagoda and as evidence, there is the preserved Quan Am footprint in Phat Tich Temple. The Perfume river system with its fishermen and their small boats, the river plants with their attractive flowers and the view of the mountains, offers tourists a respite from the city and a really worthwhile chance to celebrate with the pilgrims.